Episode 38: In this episode of Purified by Fire, David Suess talks about death, the afterlife, and the resurrection (part 2). November 9, 2018. Episode 37: In this episode of Purified by Fire, David Suess discusses the negative aspects of death and the meaning of All Souls Day in this two-part segment (part 1). November 2, 2018. Episode 36: In this episode of Purified by Fire, David Suess discusses what it means to be part of the communion of saints. October 26, 2018. Episode 35: In today’s episode, David Suess discusses Truth. We sometimes limit Truth as telling the truth or perhaps theological truths that divinely reveled by God through either the Bible or tradition. But Catholics are not gnostics. Knowing the truth is not he objective of our Faith. Truth is more then “telling the truth” or theology, Truth is not a something, but some one. Jesus says, “I am the way, and the truth, and the life; no one comes to the Father, but by me.” So truth is also relationship with God. How can we take the ascent of Truth of God from the Intellect to the Heart? (Guest speaker: Fr. Terrance, FI). October 19, 2018. Episode 34: In today’s episode, David Suess talks about trusting in God. What is trust and why do we trust others and God. Can we really trust God? Why is it so difficult for even pious people to trust God. Many of us want to trust God but, wanting to trust God does not mean we really trust Him. Hopefully this episode will help identify what are the road blocks in trusting God and how we can overcome them, so we can truly say “Jesus I trust in You”. Guest speaker Fr. Terrance, FL. October 12, 2018. Episode 33: David Suess discusses the spirit of Mercy and how to obtain this great spirit. As mentioned before, Mercy is so important to relationships. It is the “buffer” between individuals in a relationship so that relationships don’t fall apart. Many Families fall under the “spirit of criticism” rather then the spirit of mercy, which can tear down a family or another person’s self esteem. This spirit of criticism can hit even pious families. We are going to learn how God shows us mercy and then how we can mimic his mercy and avoid the spirit of criticism. October 5, 2018. Episode 32: David Suess discusses self-esteem and how we can improve our self-esteem, not by looking at how we view ourselves, but by looking at how God views us. So many of us build our self-esteem on how the world views us. It might be based on looks, power, money, strength, etc. All of these fade away, and we are left with nothing. In most cases, we strive for an illusion and chase after things that we cannot become. It becomes a rat race. But if we were to base our self-esteem on how God views us, we would be at total peace. September 28, 2018. Episode 31: David Suess discusses learning and obtaining the spirit of service and sacrifice and how the spiritual life can help cultivate this spirit to bring the City of God here on earth. September 21, 2018. Episode 30: David Suess discusses the current crisis in the Church from the perspective of how we should understand it. September 14, 2018. Episode 29: David Suess interviews Dan Gallagher on his Catholic faith. September 7, 2018. Episode 28: David Suess discusses the marriage vocation. August 31, 2018. Episode 27: David Suess discusses Christian Perfection. August 24, 2018. Episode 26: ​David Suess discusses the virtue of recreation with Greg Becker and Kim Dax of Catholic Family Land. August 17, 2018. Episode 25: David Suess discusses the virtue of eutrapelia, the virtue of recreation. August 10, 2018. ​Episode 24: ​David Suess continues to speak about the practical virtue of fortitude and the nature of fear. August 3, 2018. ​Episode 23: David Suess speaks about the practical virtue of fortitude and the nature of fear. July 27, 2018. Episode 22: David Suess concludes his discussion about the virtue of justice, the tranquility of order as defined by St. Augustine. July 20, 2018. Episode 21: David Suess talks about bringing peace and purpose into our relationships through the virtue of justice. Part 3. July 13, 2018. Episode 20: David Suess talks about bringing peace and purpose into our relationships through the virtue of justice. Part 2. July 6, 2018. Episode 19: David Suess talks about bringing peace and purpose into our relationships through the virtue of justice. Part 1. June 29, 2018. Episode 18: David Suess talks about the virtue of prudence, what it is, why we need to use it, and what are the forces that prevent us from using it. June 22, 2018. Episode 17: David Suess talks about virtue, one of the greatest things that will make you successful while finding peace and joy in your life. June 15, 2018. Episode 16: David Suess talks about the beauty of confession. June 8, 2018. Episode 15: ​David Suess talks about self-esteem: the solution. Recorded and aired on June 1, 2018. Episode 14: David Suess talks about self-esteem: the problem. Aired on May 25, 2018. Episode 13: David Suess talks about poverty of spirit and the economic life. Recorded and aired on May 18, 2018. Episode 12: David Suess talks about evangelization by example. Recorded and aired on May 11, 2018. Episode 11: David Suess talks about leadership by example being used at work. Recorded and aired on May 4, 2018. Episode 10: David Suess talks about parents’ leadership by example. Recorded and aired on April 27, 2018. Episode 9: David Suess talks about marriage. Recorded and aired on April 20, 2018. Episode 8: David Suess talks about leadership by example. Recorded and aired on April 13, 2018. Episode 7: David Suess talks about the salvific nature of the little mercies that are vital to all relationships. Recorded and aired on April 6, 2018. Episode 6: David Suess talks about the Passion and about being passionate and following our passions. Recorded on March 29, 2018, and aired on March 30, 2018. Episode 5: David Suess talks about the three enemies of the soul that attack us and try to prevent us from succeeding in our goal to become saints. Recorded and aired on March 23, 2018. Episode 4: David Suess talks about the nature of the will, or the faculty of love, and how we use it to become a success in this life and a saint in the life after. Recorded and aired on March 16, 2018. Episode 3: David Suess talks about the kind of knowledge that corrupts the mind, and the key to keeping our innocence, which is to guard our memory by experiencing only the good things and never the bad things. Recorded and aired on March 9, 2018. Episode 2: David Suess talks about coffee, one of those things that Americans are crazy about, and how we can set ourselves free from it. Recorded and aired on March 2, 2018. Episode 1: David Suess talks about the transformative power of the Catholic Church. Recorded and aired on February 23, 2018. Inaugural Interview: Carlos Bersabe, host of the Fire Away! 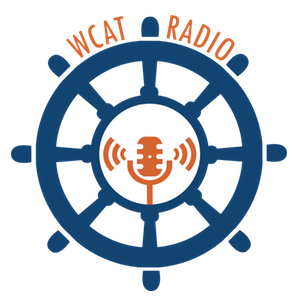 show on WCAT Radio, interviews David Suess, host of this new WCAT Radio show. Aired on February 5, 2018.